Girl Scout Troop #616, of Martinsville, Virginia, participated in the Tab Top Extravaganza Contest in support of the Ronald McDonald House Charities-Southwest Virginia in honor of our troop sister, Alivia Stout. 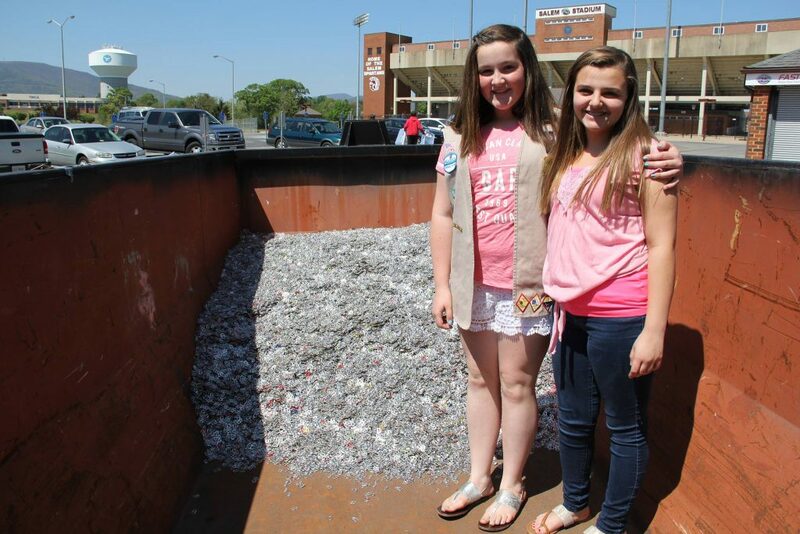 For six weeks, the Girl Scouts and MANY supporters pulled, twisted, and popped tab tops from beverage and other cans. They turned in 108.9 pounds on Sunday, April 24, 2016, and WON FIRST PLACE in the Organization Category and SECOND PLACE Overall. Pictured are Claudia Phillips (L) and Hannah Mase (R).